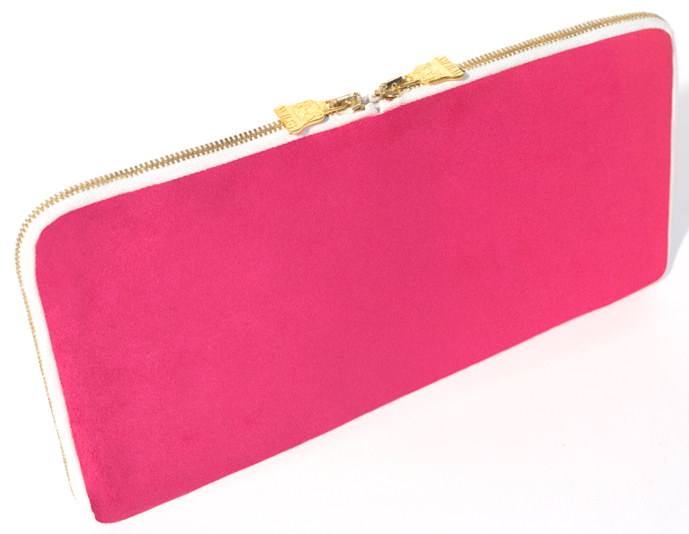 This gorgeous vegan Arda Pink Double Zipped clutch will not only add a touch of colour to your evening wear, but also you will be safe in the knowledge that you are helping the environment in some way. It has been made from eco friendly and high quality microfiber moleskin and lined with plain black organic cotton and reclaimed cotton sateen. Credited by the Vegetarian Society and made in Chelsea, London. There are currently no questions to display about Wilby Arda Pink Double Zip.